Cindy Hamilton is the creator of Family-Health-And-Nutrition.com. Hamilton has been writing on the topic of healthy living on a budget since 2007 and has been featured on Mamapedia.com. In 2009 Family-Health-And-Nutrition.com was named one of the 100 best websites for healthy parents by onlinenursingprograms.net. Hamilton holds a Bachelor of Science from Capital University in Columbus, Ohio. If you enjoy adrenaline rushes or thrilling adventures, then adventure sports could just be what the doctor ordered. Whether it's climbing the face of a mountain, jumping off a bridge, diving to see sharks or navigating through treacherous rapids, there is an adventure around most corners. 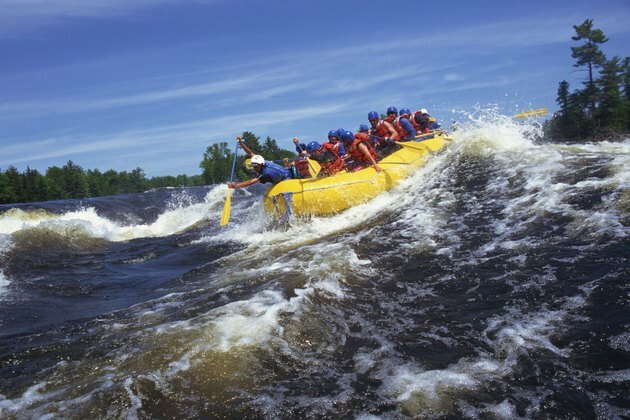 Whitewater rafting is the sport of navigating on rivers in an inflatable raft. Usually several people are in the raft, and each uses a paddle to help navigate. Rapids are categorized into six classes according to order of difficulty, which guides you to the whitewater experience that is appropriate for your experience level. Level I rapids are small, easy waves with no obstacles and don't require a guide. Level VI rapids include unrunnable waves and waterfalls that can be deadly. Rafting adventures are as close as the nearest river or across the country in locations such as New York's Salmon River, Oregon's Rogue River or the famous Colorado River. 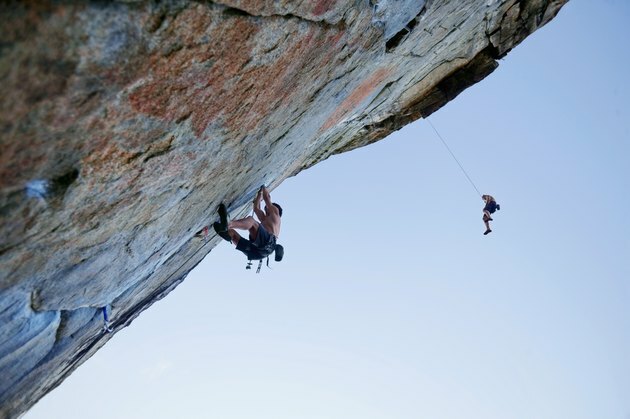 If you aren't afraid of heights, rock climbing could be the adventure sport for you. Rock climbing styles include free, trad, aid, solo, ice and mountain. 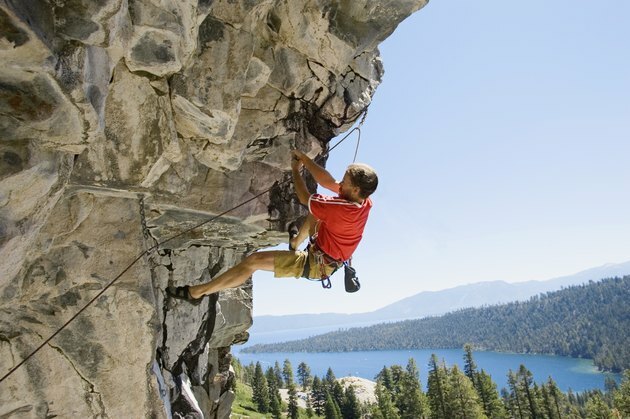 Before you set out to climb, you'll need appropriate equipment, including carabiners that connect your rope and your harness; the harness is needed to hold you up while you are climbing. Also critical are belay devices, used by climbers to feed the rope to one another. Climbing shoes made of vulcanized rubber, gloves and a helmet are also essential safety equipment. You can find rock climbing across the country in locations such as Mt. Shasta, Mt. Hood and Yosemite National Park on the West Coast and east of the Rockies in McConnells Mill State Park, Tennessee River Gorge and Rocky Mountain National Park. 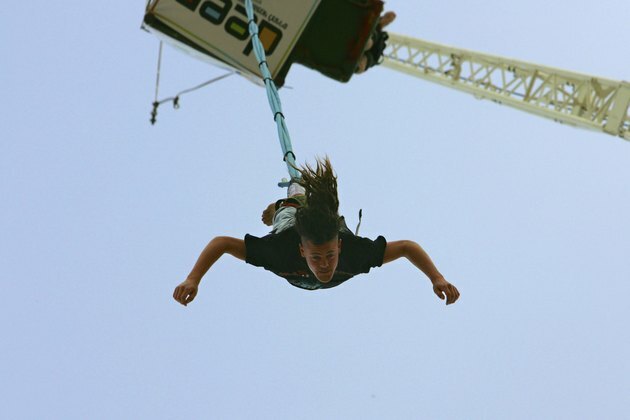 Bungee jumping is the sport of jumping from tall structures such as bridges, buildings and towers with an elastic cord tied around your ankle. With the cord secured to the structure, bungee jumping gives you a sense of free falling until the cord reaches its end and snaps you back toward the top of the structure. The highest structure in the world for bungee jumping is China's Macau Tower, the launching pad for world-record drops. For bungee jumpers in the United States, a popular place is Bungee America, located in the Angeles National Forest in Los Angeles, California. Special equipment and certifications are required before you can deep sea dive. 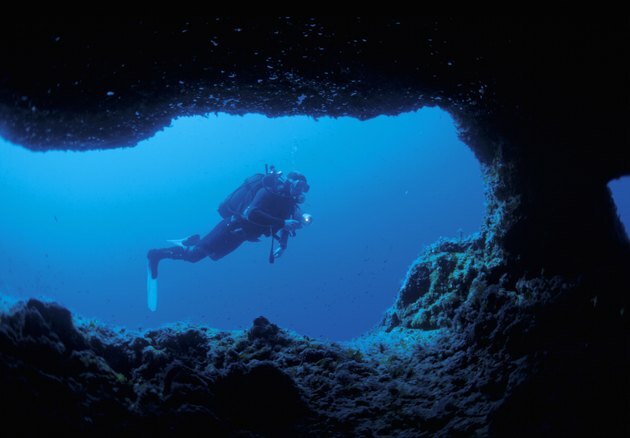 Because of the pressure deep water can place on the human body, prospective divers must take classes offered by a certified scuba diving organization. They attend classroom sessions and practice in confined and then open water; they learn to use diving equipment and dive safely and effectively at various depths. Most beginners are limited to dives less than 130 feet. Basic equipment includes a mask, air tank, dry suit, gloves and flippers. Whether you travel across the globe to dive at the Great Barrier Reef or stick closer to home with trips to Florida's USS Spiegel Grove, the Channel Islands or Oahu, you can find a diving adventure that suits your abilities.